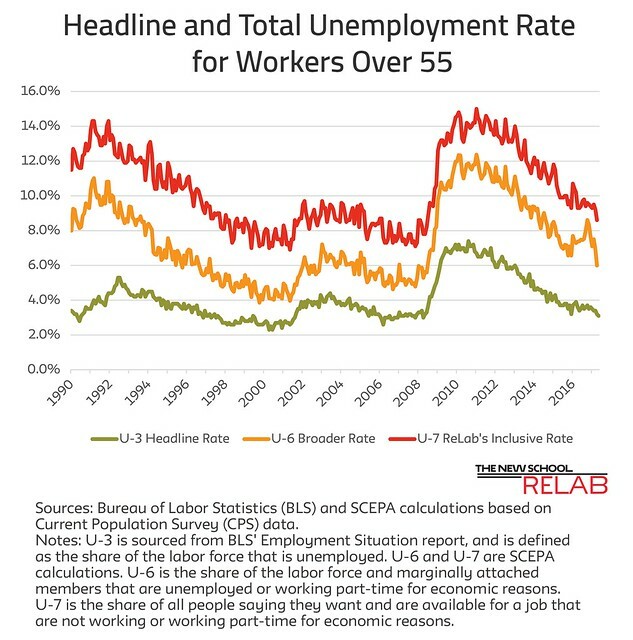 The Bureau of Labor Statistics (BLS) today reported a 3.1% unemployment rate for workers age 55 and older in May, a decrease of 0.1 percentage points from April. 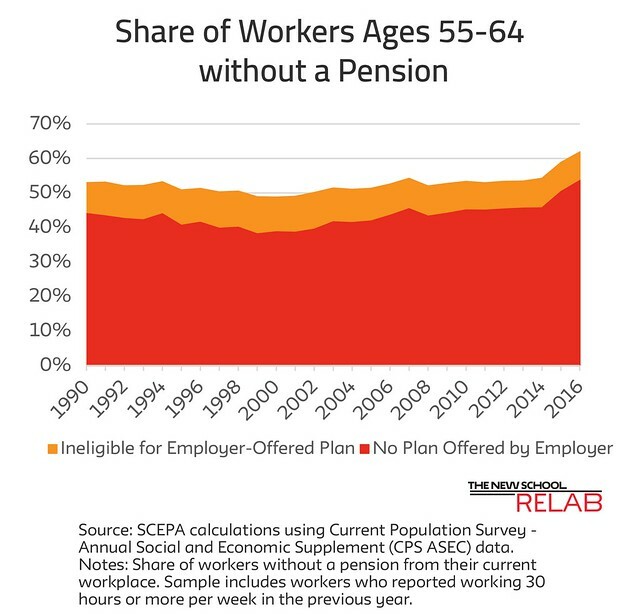 Near retirees with inadequate retirement savings face a stark choice between working longer to increase their retirement savings or retiring without adequate income. However, black men are more likely than white men to face a tradeoff between cutting their standard of living and never getting to retire. 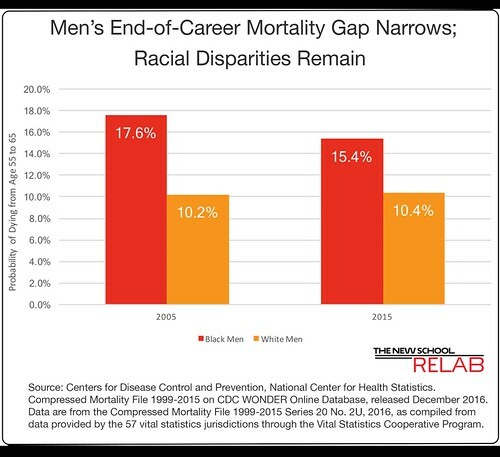 The racial mortality gap narrowed between 2005 and 2015, reflecting mortality reductions for black men, while mortality rates for white men barely budged. At 2005 mortality rates, 17.6% of black men aged 55 died by age 65, compared to 10.2% of white men, a difference of 7.4 percentage points. By 2015, 15.4% of black men aged 55 died by age 65, compared to 10.4% of white men, a difference of 5 percentage points. 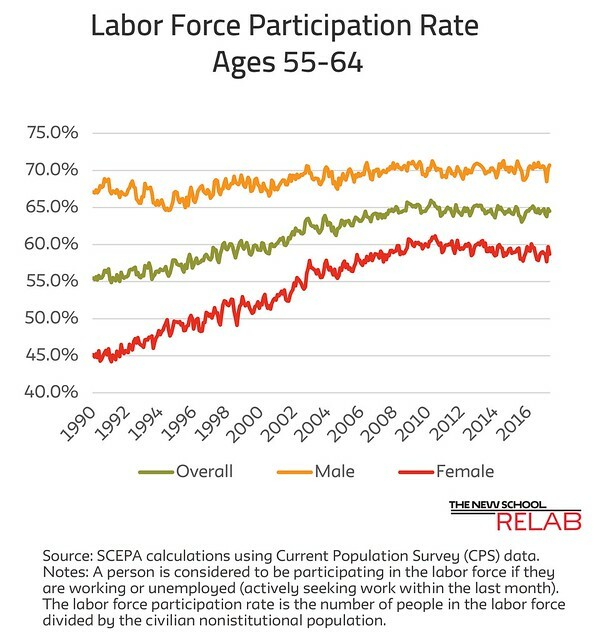 Compared to Whites, a smaller share of black workers age 55 survive to the early retirement age (ERA) of 62 and even less make it to 67, the age at which those born in 1960 or later collect full Social Security benefits. Even fewer Blacks live to 70 when Social Security benefits max out. 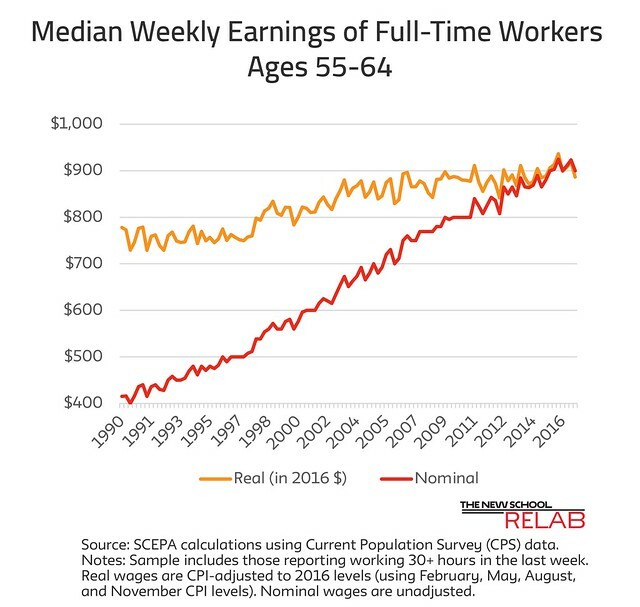 Every worker is entitled to a secure and dignified retirement. 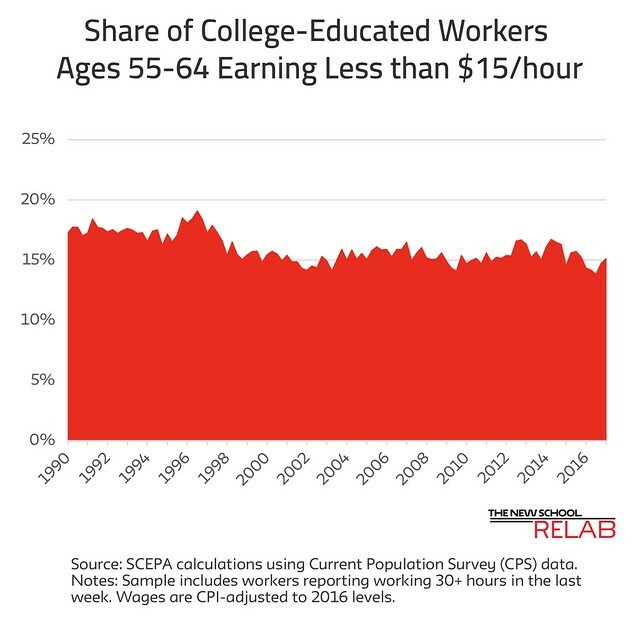 Raising the early retirement age and increasing the full retirement age would further reduce the share of workers who can look forward to retirement. More people will die without retiring. 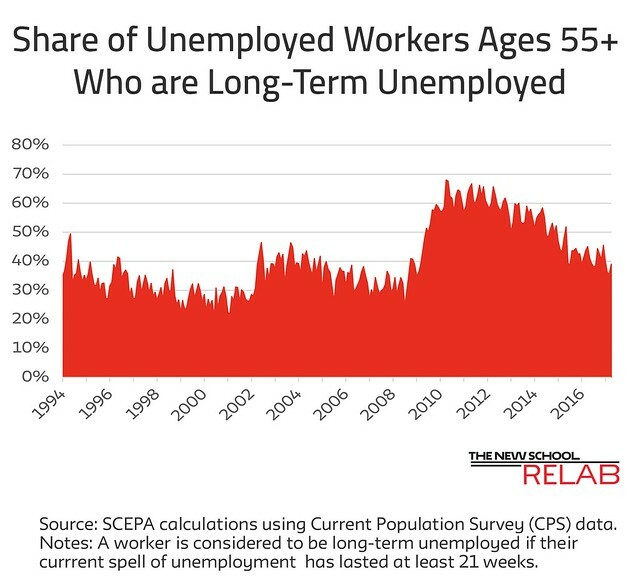 Rather than cut Social Security benefits -- raising the full retirement age from 65 to 67 reduces Social Security benefits by 13% -- policy makers should strengthen Social Security and provide all workers with Guaranteed Retirement Accounts (GRAs). GRAs are individual accounts requiring contributions from employees and employers and government throughout a worker’s career. They provide a safe, effective vehicle for workers to accumulate personal retirement savings.